FORT MYERS, Fla. - April 16, 2018 - PRLog -- The Fort Myers Miracle will be offering three baseball camps for children in Southwest Florida to learn the game from professional players and coaches. The 13th annual "Disability Dream & Do" baseball camp for children with special needs runs from 10 a.m. to noon on Saturday, April 28. The camp is free in partnership with the Dave Clark Foundation, and offers children with disabilities an opportunity to interact with Miracle players and coaches on the ballfield as they progress through hitting, fielding and throwing stations. The Miracle also are offering two baseball camps for youth looking to sharpen their skills and fundamentals under the guidance of Miracle players, coaches and staff. The camp for children ages 6 to 8 is July 10-12 and ages 9 to 12 is July 17-19. Both camps run from 9 a.m. to noon at CenturyLink Sports Complex, 14100 Six Mile Cypress Parkway in Fort Myers. The cost is $115 per child and includes a T-shirt, Miracle gift, pre-camp snacks and lunches, and one box seat ticket to a Miracle game each night of the camp. "I think our players and coaches enjoy these baseball camps as much as the children," said Chris Peters, Miracle president and general manager. "It's a great opportunity for them to share their baseball knowledge and insight with area children, but more importantly, just show them how to enjoy the game of baseball." Space is limited. 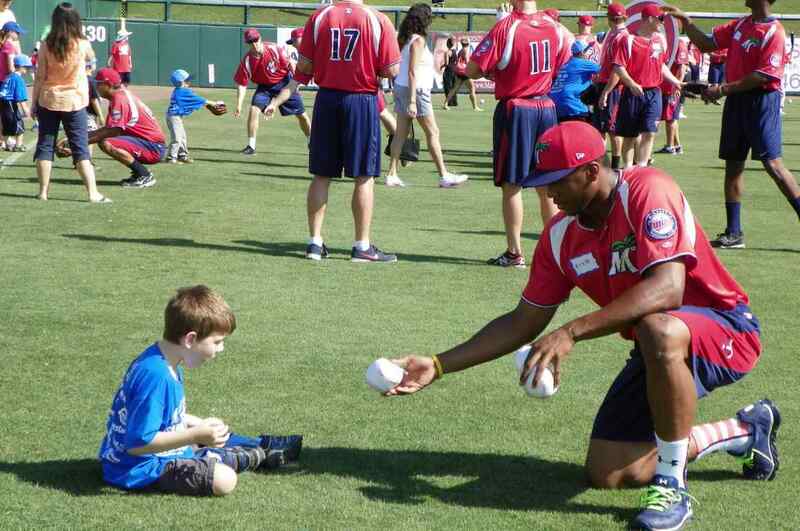 For more information or to register for a camp, please call 239-768-4210 or visit MiracleBaseball.com.